Iris van Herpen stands for a reciprocity between craftsmanship and innovation in technique and materials. She creates a modern view on Haute Couture that combines fine handwork techniques with digital technology .Van Herpen forces fashion to the extreme contradiction between beauty and regeneration. It is her unique way to reevaluate reality and so to express and underline individuality. The essence of van Herpen is expressing the character and emotions of a woman and to extend the shape of the feminine body in detail. She mixes craftsmanship- using old and forgotten techniques- with innovation and materials inspired on the world to come. “For me fashion is an expression of art that is very close related to me and to my body. I see it as my expression of identity combined with desire, moods and cultural setting. and often collaborates with other artists or scientists. Limit 1 bottle per person while it lasts. Reserve online. You can get 1 or the other bottle. You cannot pick which one you want until you come to pick it up. When you come pick up you can choose from what is left. Malt:Pale Malt, Brown Malt, Crystal Malt, Torrefied Wheat, Chocolate Malt, Roast Barley. 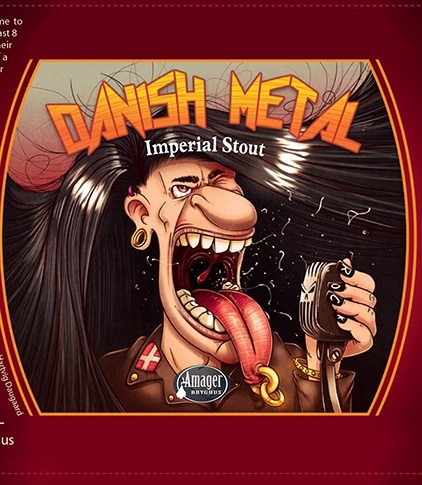 A jet black imperial stout with a dark caramel coloured head. The aroma is of prunes and dark fruticake with a smooth treacle like taste and a lasting warm bitter finish. 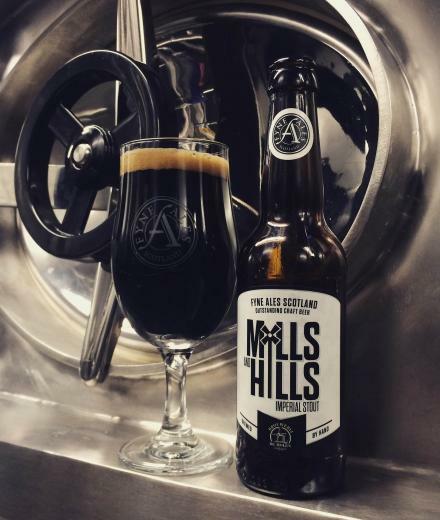 Back in November our friends at De Molen in The Netherlands made the journey over to Scotland to brew our strongest beer to date. De Molen are renowned for brewing big world beating stouts, and we felt that it was fitting that we brew one together on our new kit. This beer was all about seeing how far we could push our new kit on ABV and IBUs. The result is a 9.5% Imperial Stout that is a modern take on a classic style: bold new world hops such as Sorachi Ace and Calypso add a unique dimension to the rich meaty body of the beer. We are also doing a wee barrel ageing experiment with this one and have left some to age in a Grappa barrel with some brettanomyces for a few months. Watch this space…..
At Struise, we love all the beers we make. However, if there should be only one that we should call our ‘flagship’ with right and reason, it’s Pannepot. 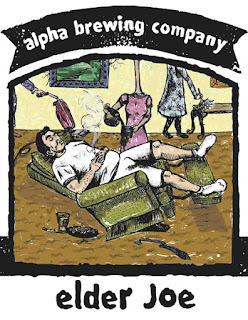 After a lifetime of brewing tasty, but ‘safer’ beers, this was our first venture into a world of extremities and has a great deal of responsibility in making us into what we are today. This ‘Old Fisherman’s Ale’, named after the fishing trawlers on which men would risk life and limb to feed their families, sits somewhere in between a Belgian strong dark ale and a stout. It pours a luscious dark brown with a creamy tan head. Each sip hits you with complex flavors of toasty bitterness and deep caramel sweetness. With all its dark and strong complexity, this beer lends itself perfectly to all types of barrel-aging, which is exactly what we've done. We've aged it on various different barrels, including bourbon and calvados. Don't miss out and try it soon! 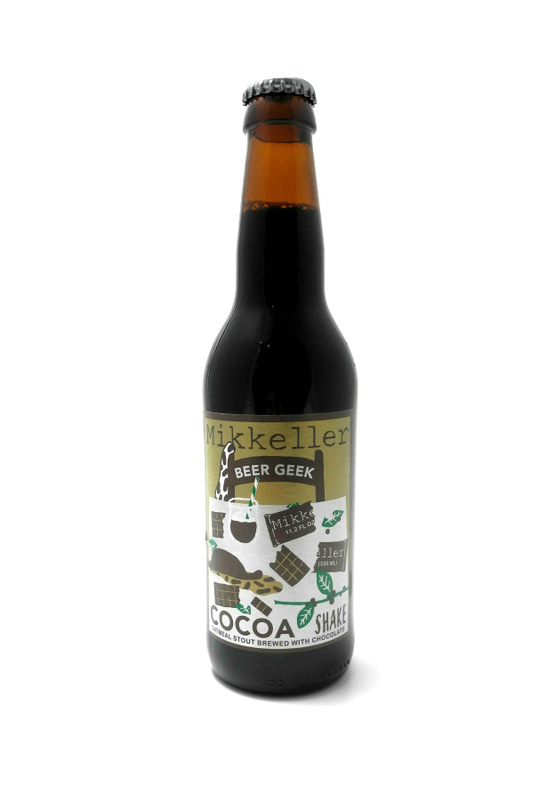 From the beer geek breakfast series – the beer that really put Mikkeller on the map – we decided to shake things up by adding a truck load of cocao to the french press coffee trick, creating a whole new dimension to the beer that are loved by freaks and geeks worldwide. Local Illinois Whiskey and Moonshine! Friday, June 12th from 4-6. Local - from Carbondale, Illinois! 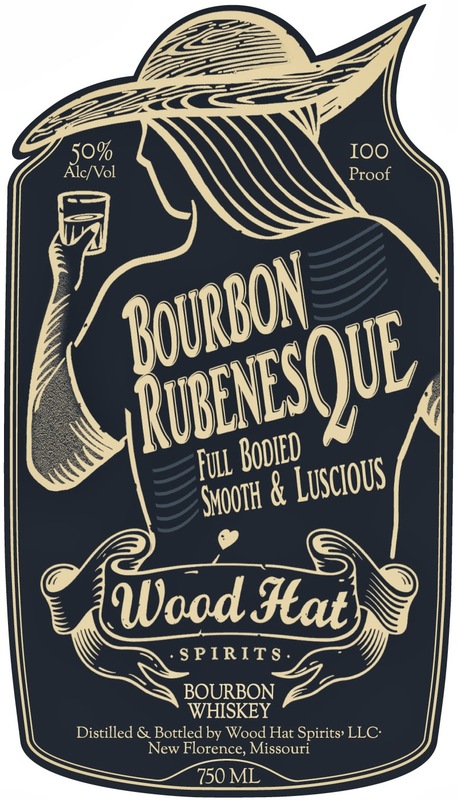 Sweet and sippable, our one of a kind bourbon is aged 6 months or less in new, charred 15 or 30 gallon white oak barrels. Our first spirit, Red Eye Moonshine, is distilled using traditonal methods combined with modern technology. Spicy Cinnamon and higher proof punch up this flavored moonshine from Southern Illinois. Life giving you some lemons? Then is Southern Illinois made lemonade 'shine is for you. It even has a dash of local honey to make everything all the sweeter. If life is just a bowl of cherries, then why not drink in all that sweet and perfectly tart goodness with out Southern Illinois-made moonshine. Grand River Spirits is a locally-owned craft distillery in Southern Illinois. Creating spirits that showcase Southern Illinois' grains and fruits. Our offerings will include brandy, whiskey, bourbon, rum, seasonal spirits (such as grappa and schnapps), and of course Red Eye Moonshine. 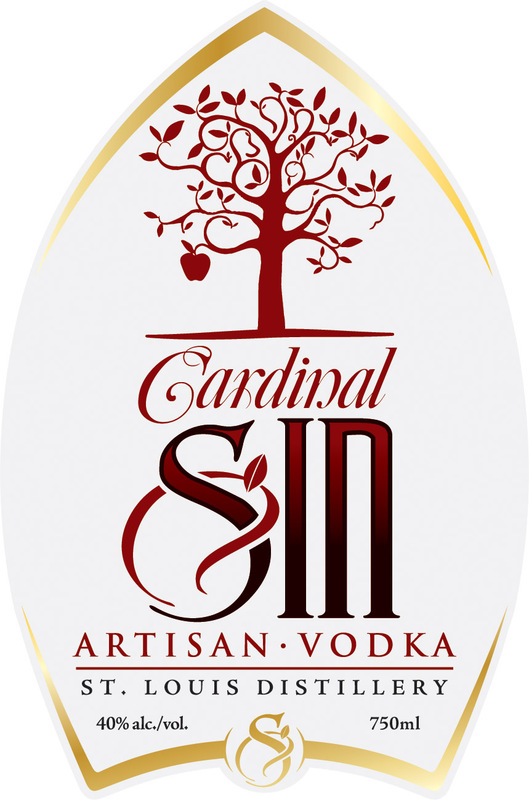 Made from Southern Illinois crops, the production of these premium, hand-crafted spirits are made with the best of the Midwest. As a craft-distillery in Southern Illinois we will focus on moonshine and whiskey within in the first year, including small, single barrels of whiskey. Don't let our small size fool you, all of the storage, packaging, distilling and tasting is housed under one roof. Our hand-crafted spirits are distilled in a 80-gallon Kothe craft potstill with three plates column, a custom German-engineered technology proven over centuries. Distilling is the process by which ingredients are naturally fermented into a slurry. This slurry is then heated in the still to evaporate the alcohol and chilled back into a liquid. The basic recipe is water, yeast, and sugar-yielding ingredients such as grain, or fruit. We believe in the traditon that only the best ingredients make the best product. Staying true to this we choose the best local, quality products from Little Egypt. Our region earned this nickname when it shared its breadbasket to feed Chicago during the food shortage of the 1930's. Orchards run by generational families, such as Rendleman and Flamm orchards, provide the apples and peaches that flavor our spirits. WOW - Wine Of the Week. This is constantly ranked as one of the top Albarinos in Spain. This is the first time available in the U.S. and we are proud to introduce it to St. Louis! Albariño has gone from obscurity to stardom. Although now planted in many countries, no place has matched the quality of wines from its home in this cool, lush Atlantic corner of Spain. Dense yet lacy, boldly flowery but not perfumy, it is acknowledged everywhere to make one of the world’s most beautiful white wines. There are over 160 growers in Rias Baixas. Each year they hold a blind tasting. 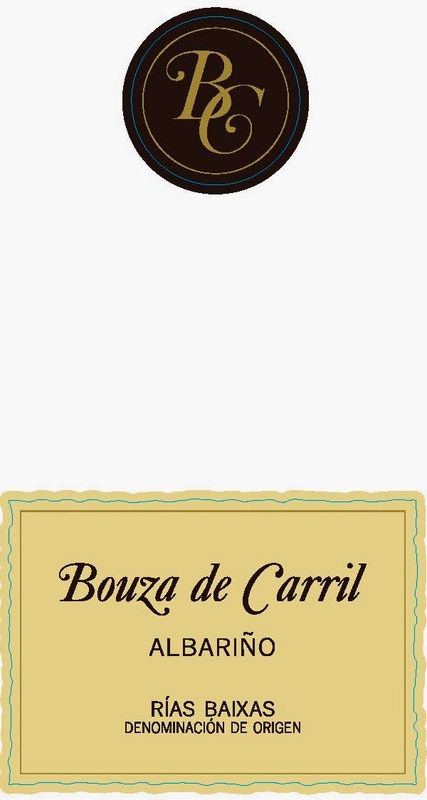 For the past decade, Bouza de Carril has always finished in the top 10. We are lucky to have this. Rarely has the word ‘gem’ been more appropriate for a wine. 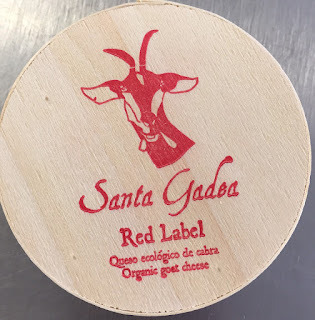 Santa Gadea Red Label Medium is a bloomy, enzyme-coagulation organic cheese. At the beginning of its maturing time, once wrapped, it has a tender texture. As humidity and bacteria develop in the cheese, a process that takes place in our caves, Red Label turns creamier and creamier. Quality cheese made with the environment in mind! Santa Gadea is a farm hidden among ridges and gullies in Burgos, a Northern province of Spain. With an extension of 800Ha, this misty valley has seen battles waged on horseback and knights force kings to swear oaths, for it was legendary knight “El Cid Campeador” who made the King of Spain swear in the “Oath of Santa Gadea” that he hadn’t killed his brother. This happened many centuries ago. In year 2013, these lands are home and give name to the finest organic goat cheese. Our small family business takes great care in feeding our 1200 goats just our organic crops, where no trace of GMOs or chemical fertilisers can be found. This is why, day after day, Santa Gadea’s cheese master is able to work with a rich-flavoured, own-production organic milk of excellent bacteriological quality that meets FDA standards, the highest in the world. Santa Gadea is an eco-sustainable, comprehensive business, the nature of which is agricultural, livestock, dairy, industrial and forest. The future is today, and today Santa Gadea is at the forefront of an incipient revolution, where companies will acknowledge the value of human and natural resources alike within their productive cycles. Our goats sleep inside a magnificent construction of French design (they are also French and we don’t want them to feel homesick). As difficult as it is being an organic flock, all illnesses have been eradicated, including CAEV, thanks to an ambitious health program. The workings of Santa Gadea are cyclic: we sow and harvest our farmlands (in absolute absence of chemical fertilizers and genetic alterations), with which we feed our goats. In turn, the goat’s manure is used as organic fertilizer on crops after being transformed into compost. • Reforestation. 120000 new trees (Pinus silvestres, Quercus ilex, Ilex aquifolium, Cherry and Walnut trees) have given back to the forest the woodlands that were stolen from it by the hand of man. • EM Technology. It is used as a natural booster of anaerobic fermentation, mainly applied to the manure produced by our goats, which is transformed into rich compost. During this anaerobic process of fermentation, over 50% of CO2 emissions is saved, an amount that would otherwise be lost to the atmosphere. • Energy. Santa Gadea has a wind farm built on its soil, and is owner of two photovoltaic panel parks (450kW). This power output exceeds the total input needed to run the farm. Santa Gadea Farm makes organic goat cheese and has a negative carbon footprint: solar PV and wind energy! Our family firm wants to restore the image of the small producer, for which it is necessary to embrace a new market philosophy where quality prevails over quantity. from IndianaAmeribella is our semi-soft, washed rind cheese, inspired by the cheeses of Northern Italy, with a salty, savory and mildly lactic flavor. The product comes in a rectangular brick shape (4×6 in). 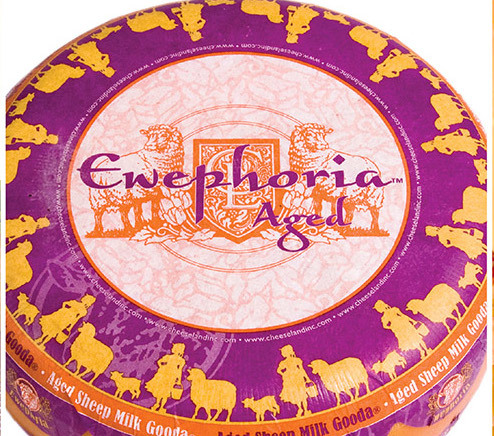 It is a pale creamy yellow colored cheese, with a soft cream to orange brown rind. It maintains a distinctly earthy aroma, reminiscent of bread dough proofing. Slightly salty, savory and mildly lactic, the flavor sweetens with age while the body grows smooth and silky. Good Food Awards Winner 2015. Each of our stores carries a different selection, come in and ask for a free taste. 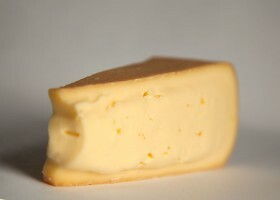 A slightly pressed curd in wheel, orange color thin coating. Quite mild, pasteurized cow's milk cheese. Delicate tartness is balanced with a milky creamy finish. Port Salut is semi-soft and pasty. This new creation from Holland is unlike any other sheep milk cheese you have ever tasted before. The milk comes from a small farm where the sheep are treated like family. 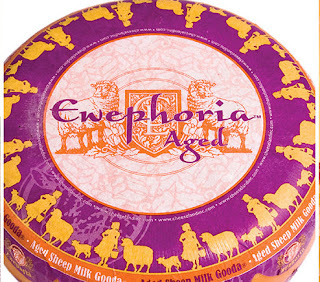 Even though this cheese has been aged for one year, it has developed a sweet and nutty flavor. This cheese tastes like candy! Experience it for dessert with red or green grapes. With the Side Project Derivation frenzy just about over, I wanted to share some thoughts on the BRC. Report has been printed. It is confirmed that the beer will arrived tomorrow. Will send out emails when the beer arrives tomorrow. 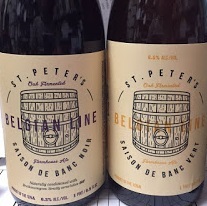 Decided to release all 24 bottles of Derivation #2 because #23 and #24 were less than $10 away from getting a bottle. I felt they should get the bottles, #25 was about $50 away, so a much better break. From comments, requests and suggestions -- here is what will be the next progression in the BRC. From now on, most of the releases will be based on 6 months purchases. The BRC was set up to help reward regular customers. Obviously, things like Side Project Derivation we can sell each bottle 10,000 times over. A store cannot survive on selling limited release beers, it is all about the everyday regular traffic. We feel that using 6 months purchase history will reward the everyday customer with a better chance of acquiring these limited releases that everyone wants. This I think was the biggest and best suggestion, I had not really thought about this before. I will do more releases, when I think it is logical, based on a particular brewery. Recently, I released the Jolly Pumpkin La Roja variants (Rojzilla and La Roja Kriek) based only Jolly Pumpkin purchases over the last 12 months. We received our allocation based on our Jolly Pumpkin support, so it seems only fair. Depending on what it is, I will sill do some a combination of both. Based on a particular brewery and based on overall purchases. I will continue to put special release on the shelf for people to find that are shopping in the store. Very rare Teo Musso Reserve! Beer made in cooperation with some of the greatest Italian Wineries! Teo had been trying for a long time to find a way to create a physical link between two great products of the earth – Beer and Wine –and two men – the master brewer Teo and his father Enrico, a wine grower. This dream has turned into reality with the creation of the “Baladin Cellar”, a timeless place which brings back to the beginning of the Sixties and to the house where Teo was born, which has been skillfully and patiently recreated in all its details, including the door to the cellar which leads to a rather impressive barrique cellar. The large room contains 160 barriques and a few tonneaus lent by some of the most important Italian wine makers, who have decided to show their open-mindedness towards the world of Italian hand crafted beers. The idea is to use them to age two Baladin beers dedicated to the two classic souls of wine: red and white. “Terre”, created to pay homage to great red wines, is produced with “Nerone” rice and barley from our fields, and “Lune”, created for great white wines, is made with our spelt and barley. The result of this work are two Blends and a very limited number of “Cru”, given to our friends wine makers and available for beer lovers in the “Caveau” of “Cantina Baladin”, where the bottled beers can quietly rest. “Cantina Baladin” is also used to age Xyauyù, Xyauyù Barrel and Xyauyù Fumè: the great beers devoted to the exploration of macro-oxidation. This is the beer that Teo has dedicated to great white wines. It is made with spelt by “Mulino Marino” and barley from our fields, and is aged in the barrels kept in “Cantina Baladin” which previously contained some of the most excellent Italian wines. A beer that celebrates the combination between two great products of the earth. The following producers have cooperated to the project: Antinori, Di Majo, Fazi Battaglia, La Scolca, Livio Felluga and Monte Rossa. This is the beer that Teo has dedicated to great red wines. Made with “Nerone” rice grown by “Cascina Belvedere” in the Vercelli area and barley from our fields, it is aged in the barrels of “Cantina Baladin”. The following producers have cooperated to the project: Arnaldo Caprai, Borgogno, Cantine Del Notaio, Castellare, Ceci, Conti Di Buscareto, Contini, Cottanera, Di Majo, Donnafugata, Fontanafredda, Marchesi Di Barolo, Masseria Liveli, Fratelli Muratori, Palari, San Patrignano, Sassicaia, Tenuta Podernovo, Tenute Silvio Nardi, Terre Di Balbia, Valle Reale and Vigneti Massa. 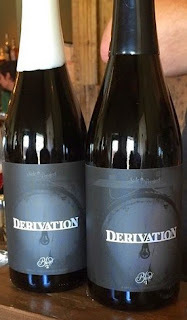 UPDATE: Purchases through Wednesday June 10 at 7pm will count towards Derivation release. That is the cutoff date. Friday will be the release date! This way everyone can relax and not worry about it anymore. 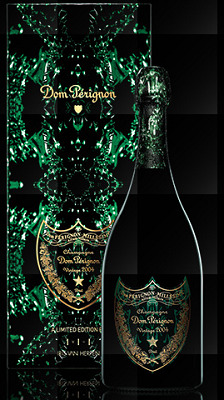 The bottle price will be $35 per bottle. 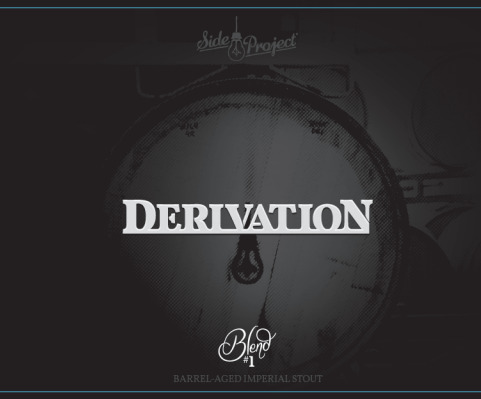 As you know, we are going to release the Side Project Brewing Derivation #1 through our BRC soon. But surprise, Cory and Karen have been super generous and are giving us a 24 bottle allocation of Derivation #2 !!! I will save 2 bottles of Derivation #2 for something special. Not sure what that is yet, but will probably share at a tasting or something. Will announce that when we decide. See the details on #1 below, #2 is a two barrel blend with vanilla added! This will be the next Side Project Brewing collaboration with The Wine and Cheese Place release. It is a four barrel blend that will be sold partly at The Wine and Cheese Place BRC program and partly through Side Project Brewing (follow them on twitter to find out how). Bottle numbers not confirmed yet. The beer is bottled and waiting for label approval now. Just waiting on red tape now. Derivation is our series of Barrel-Aged Imperial Stouts in which we brew several recipes, age them in a variety of barrels and blend them before bottling to add depth and structure to this massive style of beer. ** Remember this barrel from back in 2013. Used to make Sweet Sophie Bourbon Barrel Aged Maple Syrup. A short time before the construction of the Trappist brewery in 1862, the monks at Chimay set about to brew in small quantities an easily digestible beer light in alcohol (4.8% per volume) whose gustatory palette placed it within the style of its predecessors. It was at the time reserved for members of the monastic community. Over time, this beer called “Golden” continued to reside within the abbey. It was subsequently offered to guests of the community then to staff members working for Chimay. Despite its lower alcohol content, it is still a highly fermented Trappist beer whose touch of hops and spicy aromas never fails to delight all who taste it. As a new public progressively discovered it, the demand to be able to find it outside the abbey grew. The brewery was now faced with a dilemma: to choose between keeping only for itself a product that had already conquered fans in a purely spontaneous manner or make it available on the market. The brewery has thus opted for an intermediate solution: offering “Golden” for public enjoyment in a limited number of HORECA establishments. Check out these fantastic wines you get to taste! For your sipping pleasure, we have chosen three distinctive, locally grown red, white and blue corns. These heirloom varieties are ground, fermented and distilled, then blended to create a unique and truly all-American whiskey. 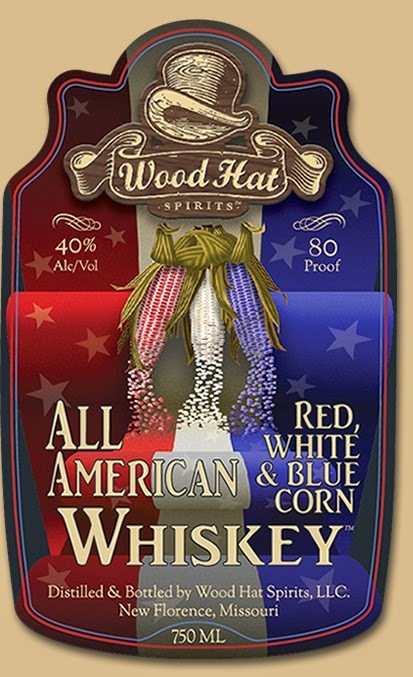 Our All American Red, White and Blue Corn Whiskey is small batch pot distilled and bottled right here in New Florence, Missouri. 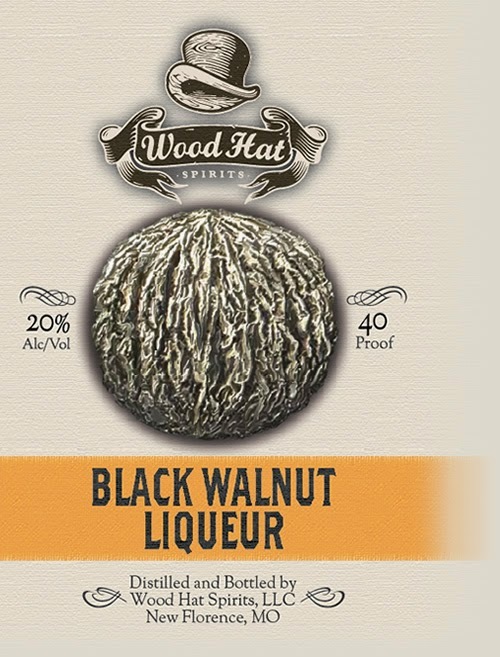 Wood Hat's Black Walnut Liqueur is produced locally from tree to glass. Our handcrafted, artisan liqueur captures the essence of the native black walnut using alcohol made from our locally grown, all natural corn and wheat. Sarah has adapted a traditional Italian recipe for Nocino to transform Missouri's over-looked black walnut into a spicy after dinner drink which may also be used to brighten a cocktail. For years now Montgomery Countians have been sending our grain and white oak staves to other states and foreign countries to make spirits. Now for the first time in our history we have grown, ground, fermented, distilled, and aged spirits in white oak barrels right here in Montgomery County. This whiskey was made possible by doing everything locally from field to glass with a small batch, pot distilled, whole grain, wood fired process. Aged 4 months in small barrels. We diligently control every step of the process to produce a full-bodied flavor. By keeping the grains whole all the way to the end, a bigger robust flavor was created. It did not need much oak to finish it off. Then, by selecting 3 year old, air-dried wood for the barrels, the flavor blossomed without the tannic bite ‒ a process only possible with a small batch, pot distilled, single barrel, field-to-glass creation. Aged 4 months. 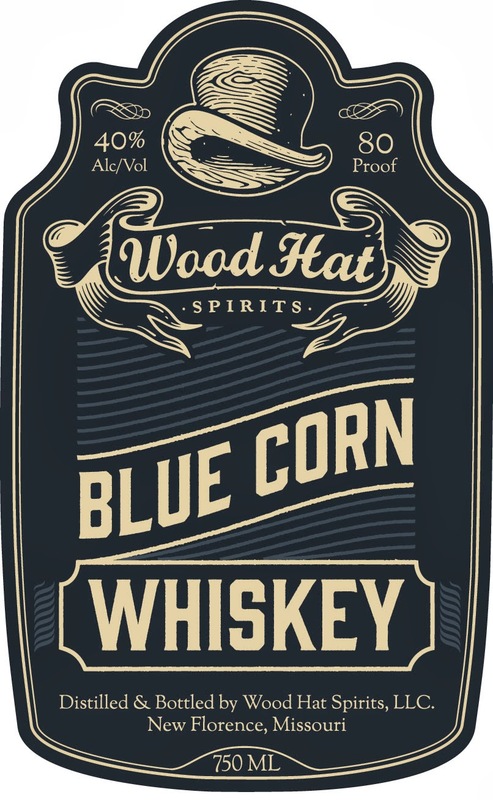 "We make our quality whiskey with blue corn because its unique characteristics impart a sweet, nutty flavor unlike any other. Enjoy our blue corn Whiskey neat, on the rocks, or with your favorite mixer. We encourage you to try it without added flavors first, so you can taste the full blue corn experience. "Humans have made food from this corn for centuries and have selected it for their own tastes rather than high yields for livestock. Although costly, its unique characteristics impart a sweet, nutty flavor unlike any other. To age this whiskey, we selected white oak staves that were aged outside for three years to make our barrels. Finally, we toasted the barrel rather than char it to bring out the more subtle flavors of the aok. 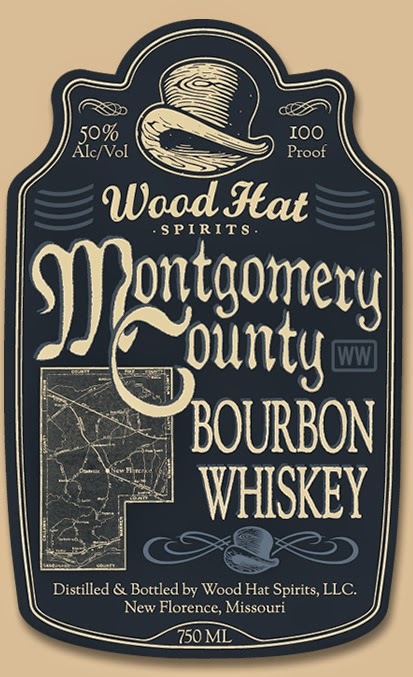 The result is a quality whiskey with a uniquely complex flavor"
Wood Hat’s Berry Berry Cordial is produced locally, from field to glass. Our hand-crafted artisan cordial captures the essence of locally grown blackberries. The corn and wheat are also grown and ground locally, all natural and untreated. We ferment and distill our products with the utmost care. Hand-crafting a unique cordial is like turning a hat out of wood, it is what you carve away that gives it shape. Although costly, we keep only the very best. 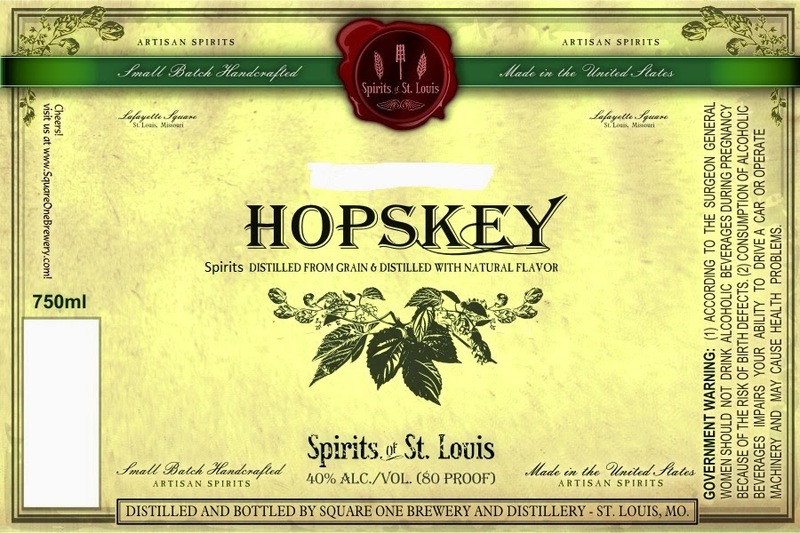 Spirits of St. Louis Hopskey with Hops! JJ Neukomm Whiskey ~ Our whiskey has been aged in small casks until it picks up the perfect taste & color. We begin with a blend of toasted malts & cherry wood smoked malt to craft an our own special character that you will not find in any whiskey at any price. Island Rum ~ Our rum is made from 100% golden cane molasses directly from the sugar cane fields of Louisiana. It is fermented and run through our still to capture the true flavors that are reminiscent of rum from the Caribbean. Spirits of St. Louis Gin ~ Our gin is an American gin, well balanced with a low Juniper and a higher citrus flavor. We use nine different botanicals including hops to balance this traditional sailing spirit. 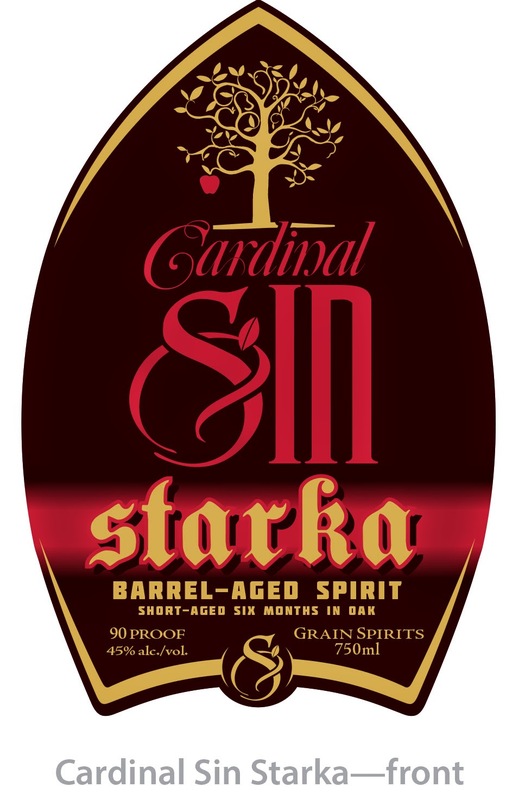 In the tradition of the great Stark Vodkas of Poland, where distillers would age vodka upon their daughter's birth and open the barrel to celebrate her wedding, this Starka is unique to the US market. Made in small batches and aged in new American oak barrels. 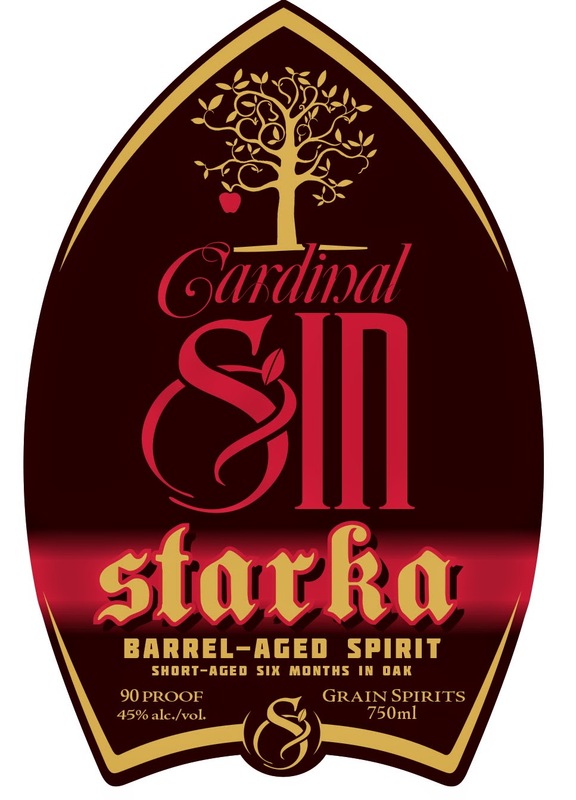 Starka ages only the "hearts" of the spirit to ensure the key flavor components of the barrel clearly shines through. Enjoy this American Starka neat, up, over ice or in favorite cocktail classics. Prairie Gold is a dry, highly effervescent saison fermented with a mix of ale yeast, wine yeast, lactobacillus and 2 strains of brettanomyces. This beer highlights the various yeasts and bacteria used to make it. Lemon, pear, white wine grapes, and a touch of funk dominate the flavor and aroma in this champagne like beer.